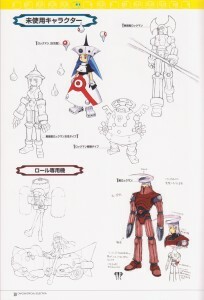 Following Juno, there were even more “Rockman” units designed for potential use in DASH2. Many of these were shown for the first time in the recently released Capcom Special Selection Rockman DASH 2 art book and soundtrack pack, but one of them had been previously shown in the Rockman DASH 2 Final Digouter’s File (check the Sauce). 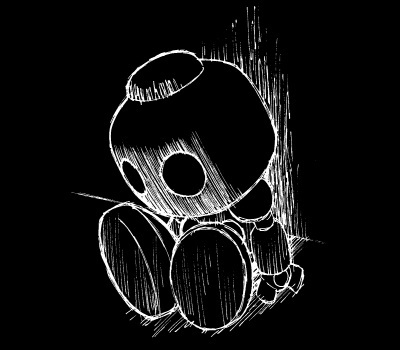 These images have been around for a while, so don’t expect too much surprise here if you’ve been keeping up. But, let’s take a look anyway! Towards the top, the two girls on the left are labeled “Rockman (Female Model)” and “Battle Model Rockman Female Type”. 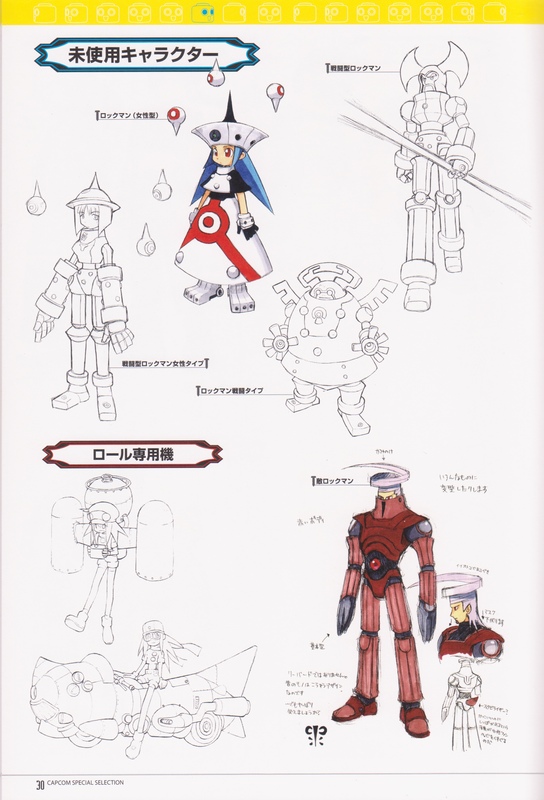 To their right are the staff-wielding “Battle Model Rockman” and to his lower left, “Rockman Battle Type”. Below them are two unused designs for Roll’s personal transportation, a jet pack and a motorbike. Quite bulky, but befitting their steampunk roots. And to her right, “Enemy Rockman”. This guy sports a retractable face shield, a tail stabilizer, and some very wild hair. Could he have been a Purifier Class sent to stop Rockman Trigger, or even an aberrant System unit who escaped justice centuries ago? The notes mention he may have the ability to transform into a reaverbot-like creature, so perhaps he is an early concept for what eventually became Gatz and Geetz. Nine years before the Capcom Special Selection Rockman DASH 2 set came out, the Rockman DASH 2 Final Digouter’s File gave fans a glimpse at one of the unused Rockman models. Though it’s of the same design, the color scheme was done quite differently, as you can see from this excerpt from page 146 of the book below. I imagine those floating objects could have acted as some kind of tools, or as some manner of shield or weapons for protection. The text beside her reads, “Who is this kid?” Wouldn’t I like to know! She’s probably my favorite of all the unused Rockmen designs. I was planning on including these at the end of yesterday’s post, but thought better of it. I say they’re worthy of having a section to themselves. I think I’ll try to do a little something DASH every day this week, in honor of my latest affiliate, Mega Man Legends Station. Check them out if you haven’t already! And if you’re coming from there, welcome, and I hope you enjoy! 7 Comments to "We Are Rockman"
Wow. I was hoping you’d do these after yesterday’s article! Also, something DASH every day this week? Yes, please! Hey #20, did I ever mention you’re cool? Because you’re definitely cool. That jetpack is totally awesome. @Model Q: Your wish is my command! @Dashe: As a Ice Horokko! @RAD: How do you keep doing that? 😀 I bow to your knowledge of Rockman art! @Doc: Thanks, fixed (kind of)! 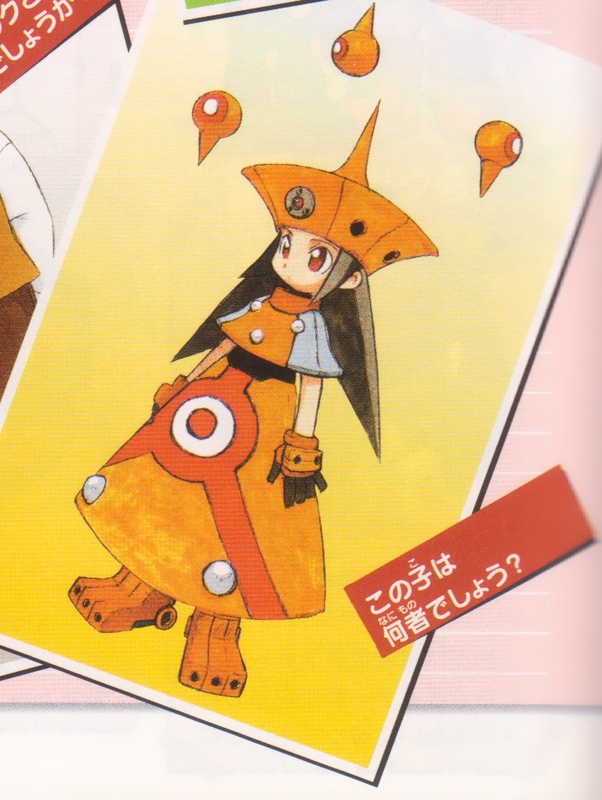 I’ve always wanted to tell someone who knows what they are talking about, that the female rockman’s floating parts remind me of the wispy spirits that float around some ghost characters like okinu from gs mikami.